sought after residency of Scheme 33. Harmain Builders is a well-trusted and well-established name in property and construction business. Since more than a decade Harmain Builders have been providing customers high quality and well designed residential accommodation. The Group derives core competency from technological superiority and a huge resource base that allows it to undertake massive and challenging development projects. Harmain Royal Residency, Harmain Towers and Shopping Mall, Wonder Tower and Shopping Mall Falaknaz Dreams. 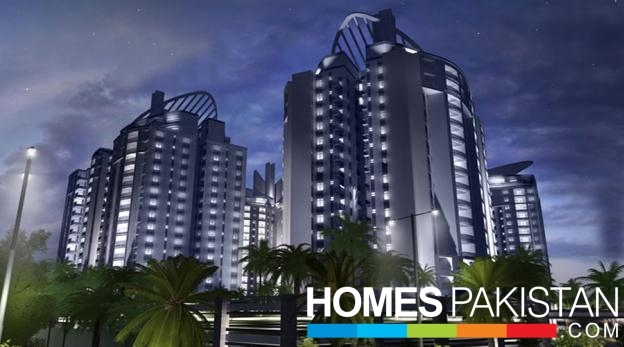 Come home to the incomparable world of Burj-ul-Harmain, a project that combines the best in design and elegance. Designed by expert architects, Burj-ul-Harmain consists of four stately residential towers of 19 stories each. Every tower boasts of covered private car parking floors, fifteen apartment floors and two posh pent house floors. Situated in Scheme 33, a highly sought after location, near Karachi University, in close proximity to Malir Cantt. Teamwork is the basis of our success. Our Team of dedicated designers, architects, builders and contractors remains dedicated to not only meet but exceed customer expectations. Each Team member is trained according to the latest technological advancements in construction business and believes in establishing strong relationships with the clients so as the better understand their changing needs. These professionals work with honesty and integrity, continually striving to be smarter and better than before, contributing their ideas and creativity and are proud of the statement their work makes about them. An incomparable world of apartment living! 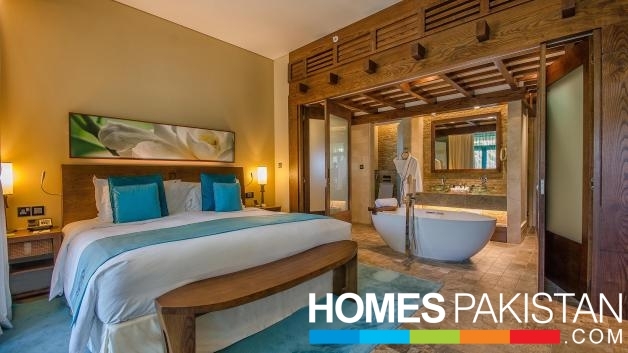 The apartments are epitome of style and elegance, offering facilities at par with modern lifestyle… The eye-catching, aesthetically pleasing interior and lighting system create a warm ambiance truly reflective of a loving and cozy home that the place is. The Bedrooms are specially designed to provide absolute relaxation and recuperation. The oversized windows keep natural sunlight flowing in while the fitted closets, private balcony and imported tiled floors indicate how blissful living in the room would be! A fully-equipped modern Kitchen with countertops invites the occupants to move in and take charge. Dining Room is an ideal space for family meals and formal dinners. Designed to provide privacy and comfort, the room has a stylish serving counter and modern lighting system. The Drawing Room is an attractive and cozy place that will surely impress all with its aestheticism. 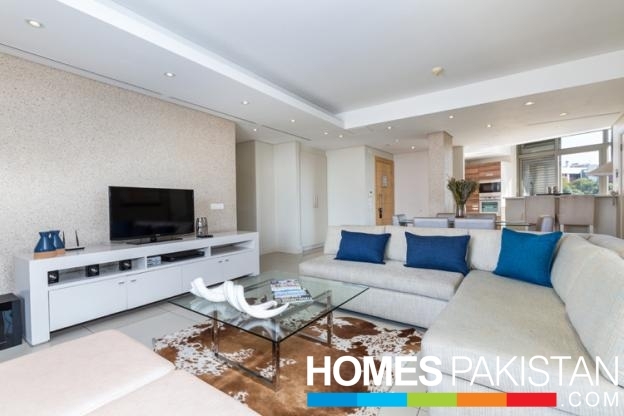 Burj-ul-Harmain's Duplex level penthouses are true masterpieces. 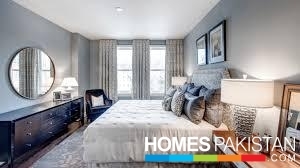 Each penthouse exudes grace and style and is available in 4 and 5 bedroom accommodations. Every room has a fully-tiled attached Bathroom with high quality flooring; ceramics shower cubicle/ bathtub, washbasin and excellent system of ventilation. The plush and well-organized Living room of the penthouse is complemented by modern facilities, and quality furnishings. A private, fully protected and covered Car-Parking gives you complete peace of mind about the safety of your car. To rejuvenate your body and soul we have created a fully equipped Gymnasium offering latest exercising machines. Here are few more delights for you— an aromatic Coffee Shop. Those who love to stay connected can pay regular visits to our 24/7 Internet Café. An exclusive Play Area where you can send toddlers and children who under caring supervision, can play games, listen to stories, draw and sketch, joy rides for kids and lush green grass ideal for a stroll.